Former No.1s Caroline Wozniacki and Venus Williams made fantastic starts to their 2015 seasons on Tuesday, winning their ASB Classic openers handily in straight sets. The No.3-seeded Williams was the first of the pair to move through, blasting 10 aces and needing just 52 minutes to get a little bit of family revenge on Jana Cepelova, 6-1, 6-0. Cepelova had beaten Serena Williams at the Family Circle Cup in Charleston last year – this one was no contest though. This is Williams’ second time playing the ASB Classic, going all the way to the final here a year ago before falling in three grueling sets to Ana Ivanovic. It would propel the American to her best season since 2010, winning the Dubai title and reaching another two finals in Montréal and Québec City. “I felt very welcome when I came back on the court today – it was like I picked up where I left off last year,” Williams said afterwards. “The fans appreciate every point here. They’re very appreciative of all the effort the players give. And that feels good when you don’t hit the best shot out there! Wozniacki, the No.1 seed, had a slightly tougher challenge in the feature evening match but still managed to move through relatively unscathed, outdoing Israeli qualifier Julia Glushko, 6-3, 6-2. “Maybe it wasn’t the prettiest match, but I got through and I won it,” Wozniacki commented. “The first match is always tough. I served well, but I want to keep playing better as the week goes on. This is Wozniacki’s second time playing the ASB Classic too – she was a quarterfinalist in 2009 – and during a pre-tournament shopping trip the Dane talked about how glad she is to be back here. There were mixed results for the other two seeds in action, with No.5 seed Svetlana Kuznetsova falling to Czech qualifier Lucie Hradecka in a two-hour-and-25-minute grinder, 3-6, 7-6(6), 6-4, but No.7 seed CoCo Vandeweghe dropping 11 aces en route to a 5-7, 6-2, 6-3 victory over Roberta Vinci. 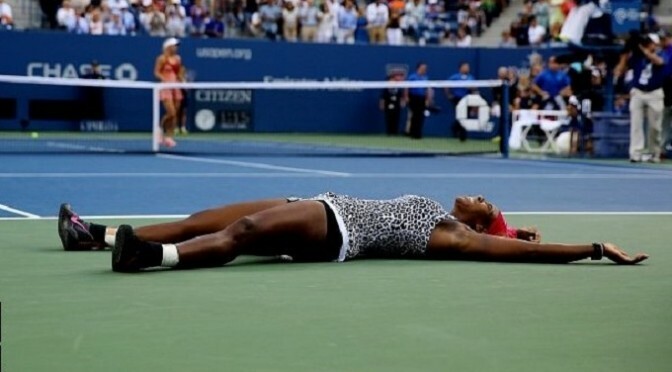 Williams, 33, has now won three successive titles at the US Open, the scene of her first Grand Slam triumph 15 years ago. “It was a really wonderful feeling,” said Williams, who was joined by Navratilova and Evert for the trophy presentation, when she also collected US$4m in prize money. 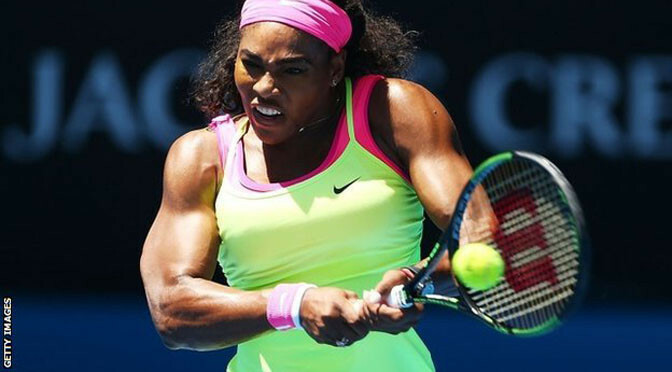 Wozniacki, a close friend of Williams, said: “Congratulations to Serena. She really deserved it today and played better than me. The case for Wozniacki heading into the final centred around the Dane’s improved form this summer, which saw her push Williams to three sets twice before reaching her first Grand Slam final for five years.